The Mummy’s Curse expansion for Clank! – The deckbuilding dungeon crawler is a solid favourite in our house and at the local club. It merges two of my favourite genres into a really solid system. I’m getting to the point now though that I could really use new maps. Oh look, a new map is being released next week! Handy that. Gone is the dragon castle of the original game and in comes a cool, new Egyptian theming! I could see myself picking this one up soon, just to add some variety to a great game that I’m on the verge of having played to death. Our Friends the Machines supplement for Tales from the Loop – Tales from the loop is a bcool RPG from Modiphius that comes in a beautifully illustrated core book. It’s gorgeous, and the concept is one I love. This first supplement for the game includes several long and short adventures, along with guidance for creating your own. I particularly like the sound of the Horror Movie Mayhem adventure, along with the titular Our Friends the Machines one. Street Fighter Miniatures Game on Kickstarter – Jasco are a company I’m not entirely sure I fully trust to make a good game. The games themselves seem a bit mediocre, by they really are beautiful productions. We saw this with their Megaman game and they’ve now brought their Street Fighter game to Kickstarter. 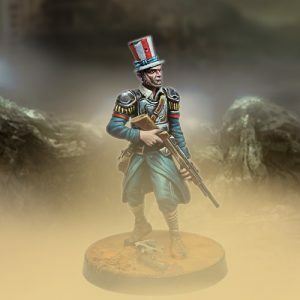 Let’s forget about the game itself and just take a look at the included miniatures. Goodness gracious, they’re stunning! Like, really stunning. They’re a good size, have great detail and lovely, crisp colours. Gorgeous! April releases for Punkapocalyptic – This is not a game I know at all. I’d never encountered it before seeing these releases, but they really caught my interest, especially the Yankee with the rifle. Looking through their online store, the rest of the range looks really good and chock full of cool references. Again, not sure how the game itself is, but these new releases look great, as does the rest of the range. Worth a look. This doesn’t really insire a lot of nostalgia for me, as it’s not a game I was aware of at the time, nor had I ever played it. As such, I’m probably going to give it a miss, but it does look really pretty and I’m sure it’s a huge thrill for those who played the game or those who grew up seeing the advert and wishing they could get it for themselves. Gaslands – Meyers Manx @ Rats East – Still interested in this game and always keen to see people converting their cars. The author shows before, during and after pictures for their conversions and the finished products look great! Nice article full of good pictures of cool models. Infinity Aleph Commission, part One @ Vagabond Studios – As someone also working on red Aleph models, I’m delighted that the author has already put my efforts to shame. Seriously though, the author has used a relatively simple scheme for the models and it really works. The blocks of colour really work well and the miniatures look fantastic. Looking forward to part two! Games Workshop’s Gender Gap is in the Minis Not the Pay @ Boardgame Today – An interesting article that looks at the gender gap at Games Workshop both in terms of employee pay and representation in miniatures. 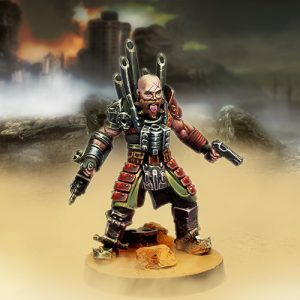 Unsurprisingly for GW fans, the article comments that there are far, far, faaaar more male miniatures than female, but does note the upcoming release of Sisters of Battle in 2019. The interesting part is actually the pay gap side, which has some interesting information (read the article for details), but I do agree with some of the author’s thoughts on why this particular disparity exists within Games Workshop. What is Gaming To You? @ Silvos the Gamemaster – I agree with the author’s initial point about the difficulty in really explaining the hobby in an appealing, enticing way to outsiders. Been there, struggled with it. I also agree that RPGs can mean very different things to different people. A lot of what the author says chimes with me, and I’d suggest you take a read through the article and see if you agree, too. This is a nice read that had me smiling and nodding along with the author. The Paint Desk – Painting Undead Skin (How To) @ Third Floor Wars – A nice tutorial for undead flesh. I have a lot of undead miniatures for Malifaux that could use a lick of paint, so this tutorial is pretty cool for me. I’m not familiar with the paint line that the author uses, but it looks like it has a good range of colours. Useful little tutorial with some good, illustrative pictures. On No Rerolls, we’ve been looking at some bundles of Warhammer fiction and Deadlands PDFs. I have also posted my weekly hobby update over on Hit Somebody.